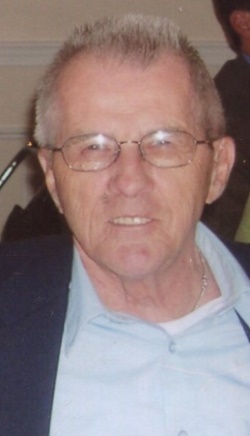 Obituary for Enoil L. Fournier | Boucher Funeral Home, Inc.
Enoil L. “Inky” Fournier, 90, of Gardner, passed away peacefully Monday, February 11, 2019 in St. Vincent Hospital of Worcester, following a brief illness. Born in Gardner on June 28, 1928, he was the son of the late Joseph and Delima (Lavoie) Fournier. He was raised in Gardner and graduated high school from St. Joseph’s College in Berthierville, Canada. Inky was a United States Korean War Air Force Veteran and received the National Defense Service Medal. After being discharged, he returned to Gardner and was employed by Heywood Wakefield Company and the Gardner News. Prior to retiring in 1989, he was employed by Nynex of Gardner. He was a member of Annunciation Parish/Our Lady of the Holy Rosary Church. Inky was an avid tennis player and enjoyed traveling and reading. He also loved spending time with his family. He was predeceased by his wife of 63 years, Jeannette M. (Gallant) Fournier, who died in 2013. Inky leaves his daughter, Susan M. Fournier and her husband Larry DeBlois of Princeton; sister, Anita Boudreau of Gardner; sister-in-law, Irene Fournier of Gardner; grandsons, Jonathan DeBlois and his wife Stephany of Boston, and William DeBlois of Oahu, Hawaii; great-grandson, Wyatt DeBlois of Boston; several nieces and nephews. He was predeceased by his brother, Herve Fournier. Funeral Services will be held Friday, February 15th from the Boucher Funeral Home, Inc., 110 Nichols Street, Gardner with a Mass at 11:00 a.m. in Annunciation Parish/Our Lady of the Holy Rosary Church, 135 Nichols Street, Gardner. Burial will be in Notre Dame Cemetery, Gardner. A calling hour will be held Friday, February 15th from 9:30 a.m. to 10:30 a.m. in the funeral home. Memorial contributions may be made to Holy Family Academy, 135 Nichols Street, Gardner, MA 01440. Please reference in memory of Enoil L. Fournier. The family would like to thank the French Connection for their wonderful, caring services.